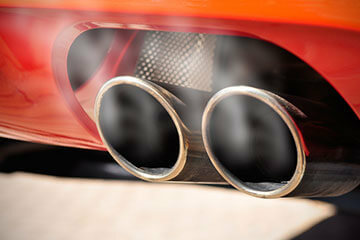 Is your vehicle due for an Ohio emissions test? Just come by Millennium Transmission and Auto Care, and our emissions testing team will take care of your service as quickly as possible. Whether you have an older vehicle or a newer model, our shop can perform test on all cars, trucks, and SUVs. If your vehicle does not pass inspection, our team is also able to perform the necessary auto repairs to ensure it is compliant with Ohio regulations. We are your local shop for Ohio emissions testing! Why Does My Vehicle Need An Emissions Test? The Ohio E-Check Program is part of the state’s mission to reduce the levels of pollutants, such as volatile organic compounds (VOCs) emitted into the air by motor vehicles. The E-Check promotes cleaner air and a better environment without pollution, such as smog, that can also affect the health of our communities. Our vehicles are one of the largest contributors of air pollutants, so come in to our shop today for your Ohio emissions test and let us help lessen your vehicle’s impact on the environment. Millennium Transmission and Auto Care values its customers and the families we care for, and is proud to participate in the E-Check Program as a step to provide a better Ohio for future generations. Give us a call today or schedule an appointment online for your next Ohio emissions testing service!